Thousands of Syrians flee to Turkey Jump to media player Jonathan Head reports from Istanbul, Turkey, where officials say thousands of Syrian refugees are fleeing. It comes as UN chief Ban Ki-moon warns the crisis is escalating. 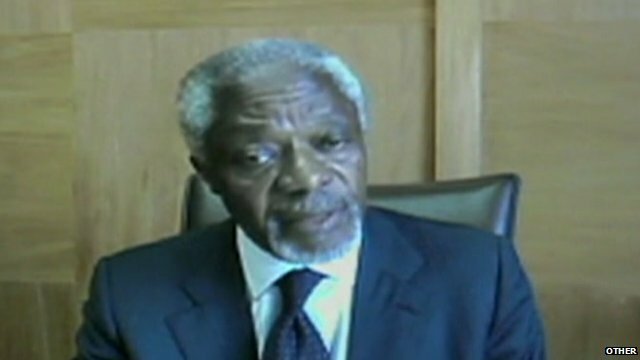 Annan: 'Urgent need in Syria' Jump to media player UN mediator Kofi Annan has said that there is an "urgent need to stop the killing, the abuses, and bring humanitarian aid to a suffering population", in Syria. Turkish officials say thousands of Syrian refugees have been fleeing into Turkey, as UN chief Ban Ki-moon warns the crisis is escalating. 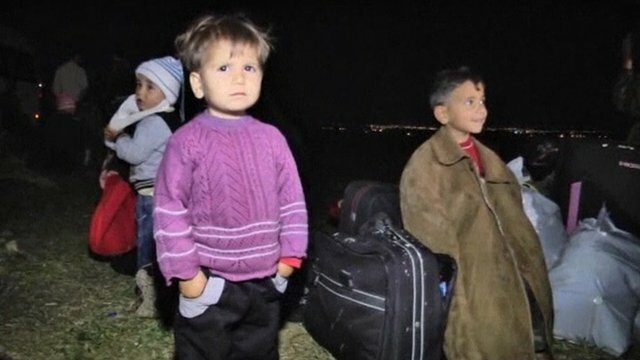 More than 2,300 fled on Wednesday, by far the highest number in one day. Earlier, the UN called for the Syrian government to "urgently" implement an agreed ceasefire. Jonathan Head reports from Istanbul.